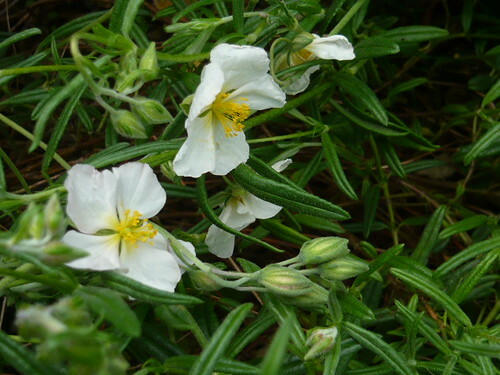 Rock roses grow in full sun, in rocky, well drained, neutral or alkaline soils. 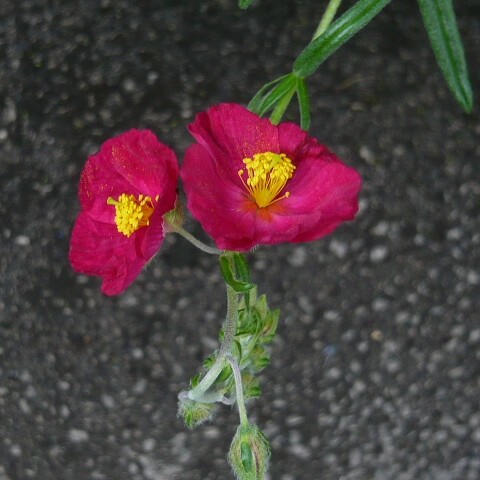 They are perennials that grow 12″ high -18″ spread and are particularly well adapted to grow in dry gardens. I have some admittedly straggly specimens growing in a wall. A bit of watering in summer would probably improve them.